In the distant lands once known as the Ivory Kingdoms, the influence of Rokugan spreads from the Second City, the seat of the Empress’ power in that distant realm. In both the Empire and its Colonies, the will of the Divine One unfolds in the face of adversity and intrigue. 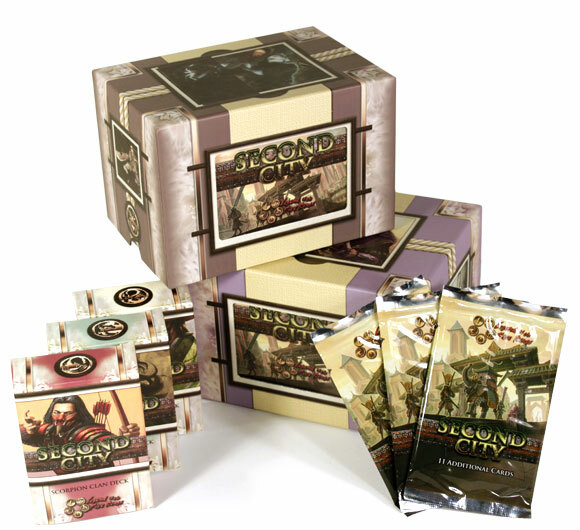 Second City is an expansion for AEG’s Legend of the Five Rings Collectible Card Game. It is the last expansion of Celestial Edition and the second that will be legal with Emperor Edition, the new base set, releasing in February 2012. Influence the fate of your Clan with your decisions, both in Rokugan and the Colonies. Who will heed the call of the Empress? 156 total new cards legal in both the Celestial and Emperor Arc, including 3 Strongholds dedicated to the new themes announced for Emperor Edition. Amazing art, bringing the Empire of Rokugan (and the Colonies), as well as its characters to life. The beginning of the Emperor Edition story, which players will have a chance to influence in new ways. 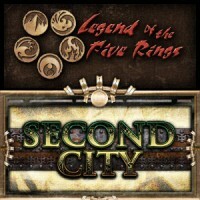 Add a Review for "Legend of the Five Rings – Second City"